While everyone in the globe seems to be developing innovative mobile apps every now and people require a break from exploring the biggest opportunity of Quality strategies to boost mobile app downloads. If that’s the case, app developers run into the same problem and seriously encounter after they publish their apps. If you have an app you want the whole globe to use, you can make it happen. Once if they get downloads they would be able to make some real money. All it takes is little effort and the right know-how to bring your app to the attention of the masses. You can also learn the quality ways to boost your mobile app downloads. 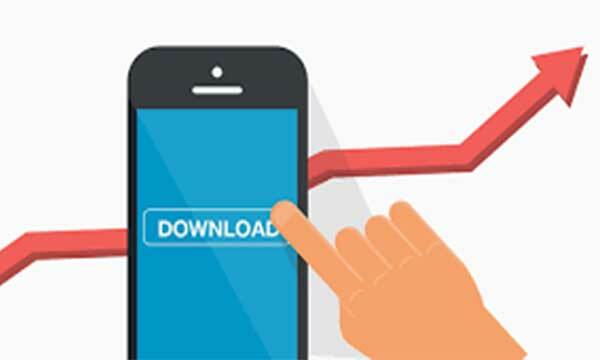 Let’s look in more detail at the best ways to boost your app’s downloads. Everyone knows that the app icon would be first thing someone sees in the app store, so the design you select is as important to your app success. As passionate users scroll through the app store, yours should pop out as eye-catching and instantly recognizable. It is also must that developers use a design that exactly serves as a clear representation of your app. It must offer as much of a clue as possible to what users will find after they install it. Moreover you must keep the app icon as straightforward as possible, and simplicity is best. While app stores offers you a 225 character limit, the developers must only use around 25 of them. It actually shows up in search result and be sure those characters are used wisely. One of the most vital aspects of your app description is your collection of photos, screenshots, and videos. Your screenshots must contain different aspects of the app in action. Use explanations, captions, and arrows that illustrate users what they can do inside your app. Show extra emphasis on the most familiar and required features of your app. Try to convince users that your app has a better design than that of your competitors. If app developers could effectively draw positive reviews from fans of your app, you can see your downloads increase exponentially. Moreover the reviews that declare your app a valuable download or say it offers a great user experience are “testimonials” that allow other users know your app is worth downloading. What other terms do you think users are searching for when finding for the requirement that your app fulfils? You must take the time to perform keyword research to view which words tend to get the most traffic. It is also possible to widely use the normal Adwords Keyword Tool to search for lateral keywords to use as well. Primarily the lateral keywords are the ones suggested by Google after they have located your app. It is known fact that not all about the number of downloads you get is so important. It’s also vital to know how, when, where, and by whom your app is used. So analytics are very much important to determining what your users want the most out of your app, and how you can deliver that. It is also the key to generating continuous downloads. One can effectively facilitate A/B testing to determine what works best based on specific trigger points you set up inside the app. Finally always remember to keep your target audience’s preferences in mind when trying out these qualitative strategies. If app developers do all of this successfully, they can feel immensely confident and achieve massive app sales. We all know that ASO is the process of improving a mobile app’s visibility in the store by optimizing each metadata element -app title, description, keywords, screenshots, etc. according to the store best practices. Our simple goal is to make the app more visible in the charts and actively increase its discoverability. By doing this the global app users are more likely to find the app in the store, and as a result the number of downloads would increase rapidly. Fortunately we’ve already reached a point where apps become way of life for users around the world and the app economy is strongly heading into the trillions of dollars now. This has had very real effects on the global economy at large. It is illustrated that global consumer app store spend would certainly surge past $110 billion, with expanded opportunity for independent publishers. So it is expected that App Store Revenues will reach New Heights. 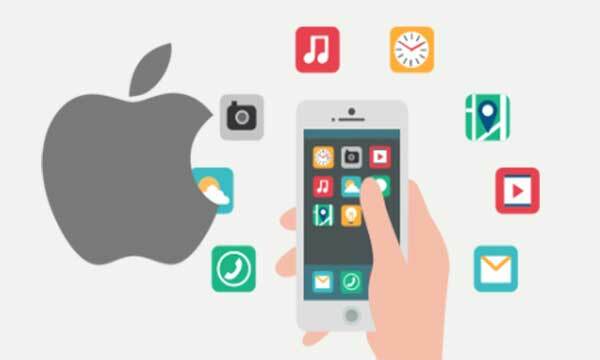 In a recent survey it is found that tens of thousands of apps arrive in the app stores every months approximately 50,000 in the iOS App Store and over 150,000 in Google Play in October 2017 alone to the point where there are more than 2 million apps in the iOS App Store and more than 3.5 million in Google Play. Primarily we anticipate that leisure time apps would benefit the most because they’re the most likely to be attractive to global consumers as they browse. Moreover the needs-based apps namely utilities, food delivery, ride-sharing are more likely to be discovered via search or word-of-mouth. Also we anticipate that the improved discoverability of leisure time apps would actively boost IAP revenue overall. The best outcome of the app stores new emphasis on editorial content and curation where global consumers could more simply find and download quality apps built by indie devs that are illustrated by Apple and Google. For indie developers, this big win would really translate into lots more in-app purchases and ad revenue, which they could channel into building still more number of quality apps. With ten years on, we’re experiencing that the app economy has strongly evolved into a robust and complex economy. It actually transpires the app stores to driving revenue in an array of verticals. So in 2018, global consumer spend in the app stores would hit and surpass a major milestone. It might also increase emphasis on app store curation and editorial content which would boost IAPs in permitting independent developers to thrive successfully. If you have followed reviews here at AppMarketingPlus, you’ll know that we are fan of unique introduction of App related news, particularly when they bring something distinctive to the benefits of global users. As a professional, I have certain things to share about App Economy in 2018, so it must come as a surprise to no one that people enjoy app thoroughly, particularly on Apple and Google Play Stores. While I’m not as expressive as other people I know, I search these important details to be beneficial, unique, and they’re absolutely great at knowing their salient aspects. 2018 would specially mark the 10-year anniversary for both the Apple App Store and Android Market. Since their popular launches, mobile apps have strongly impacted society at faster pace and scale. During the month ending October 31, 2017, roughly 50,000 new apps launched on the iOS App Store and over 150,000 were added to Google Play. The global users on average are spending two hours per day — which equates to one month out of every year — in apps. More than 40 countries would actively generate over $100 million each in consumer spends in 2017 for iOS App Store and Google Play combined. 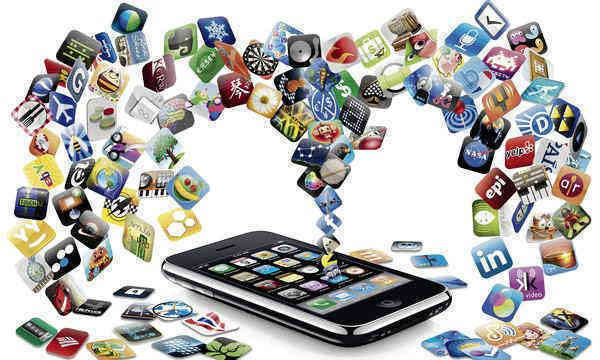 Apps play a key role in almost every industry namely as retail, banking, travel, QSR, CPG and media and entertainment. It is expected that worldwide consumer spend across all mobile app stores would immensely grow approximately 30% year over year to exceed $110 billion in 2018. Though China, India and Brazil are top markets to watch, China would still continue to be important market for app store consumer spend in 2018. We are highly excited to see how app developers surpass the boundaries of what’s presently possible and deliver on these requirements over the app economy’s second decade. Now that we’ve been hearing lot from the reputed App Developer’s Conference held last week and checked out number of App Predictions for 2018. I’m in the passionate mood for some more information’s than ever before. It is highly noted that AR would likely become more integrated into a variety of mainstream apps in the coming year. If you analyze at AR in terms of a yearly progression, 2016 was the year it made news with the popular success of Pokémon GO and Snapchat’s rise introducing AR to increasingly larger global audiences. So in 2018, the apps that developers have been building this year would go actively to market, and we could really see AR transform from a more niche experience to a technology that global users will encounter more often. When it comes to global consumer applications of AR, as of now, China is primarily at the front and is wholly leading in terms of sales of AR. It also makes sense that China would actively lead in regards to mobile AR because so much of its population where historically illustrates a massive appetite for the latest advanced innovations. Pokémon GO was able to hit the $500 million in just over 60 days, a massive pace that simply made it the fastest app to ever hit that milestone. Given just how popular and dedicated the fan base of Harry Potter is, and that Niantic would professionally launch Wizards Unite with the good benefits of lessons learned from Pokémon GO. Using downloads as an indicator of consumer global interest; we already have a good analysis of what’s coming in 2018. There’s been immense increase in downloads of AR apps with AR downloads growing in late 2017, an upward movement that we expect to continue. It was also noted that in many ways 2017 was the year of cultivation as giant Facebook, Google and Apple illustrated huge investments in AR at their developer conferences. In conclusion it’s going to be an interesting year of development for AR, to say the least.